E learning industry has now taken pace and is growing by leaps and bounds. So, there are constant researches made and experiments conducted to enhance and enrich the learning experience. As a result, there are new trends and methodologies that are implemented like gamification, rapid e-Learning, responsive elearning, localization, etc. 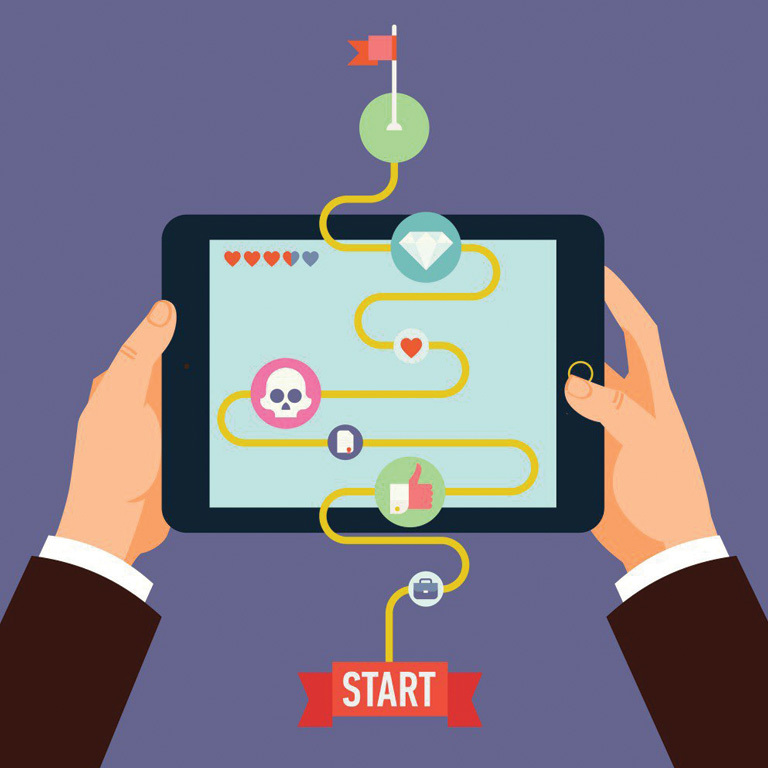 This short ebook will give an insight into one such trend “Gamification”. This word was coined by ‘Nick Pelling’ in 2002 and has gained a lot of momentum since 2010. This ebook first explains in detail about what is gamification and why is it so hyped and most adopted trend. The advantages will justify what it can bring to e-Learning. Then, there is a section that will deal about what points must be considered when implementing this. By the end of this ebook, one will be able to get a clear insight on gamification and will be able to make an informed decision when implementing the same in an e-Learning course. Gamification, by definition, is applying gaming technologies and making use of game-based mechanics, aesthetics and techniques to facilitate learning and conduct trainings. It is basically taking elements of gaming and applying them to the traditional methods of instruction to make it more interesting, engaging and intriguing. It is basically the process of transforming or integrating something that already exists with the game mechanics. This concept can be extended to any of the existing systems like an enterprise application, a website, a process, an e-Learning portal etc. This does not involve recreating the whole system but, it is just about applying the techniques of motivation, rewards, loyalty, engagement to an existing system that can enhance the user experience. Now that it is pretty clear what gamification is, let us try and understand why has it become so significant.